Control drum pouring at up to 106" high. 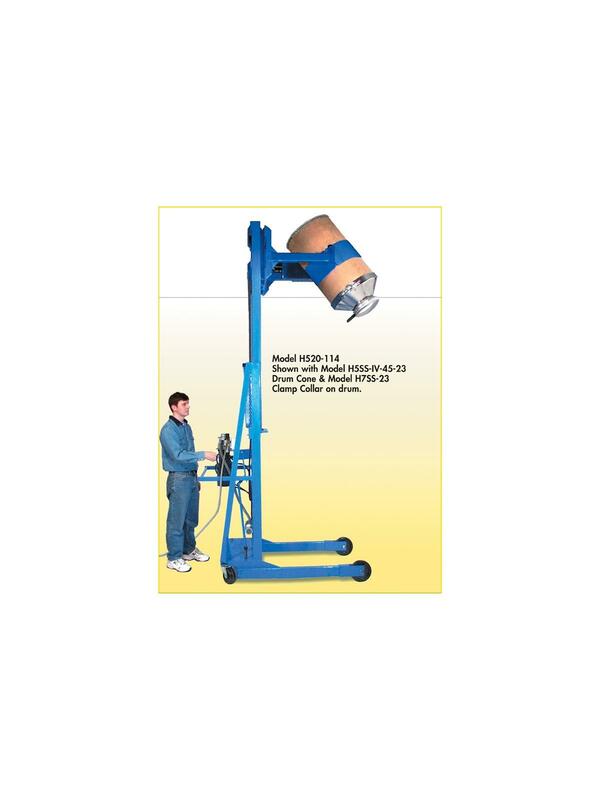 Weigh drum while pouring with scale-equipped models. 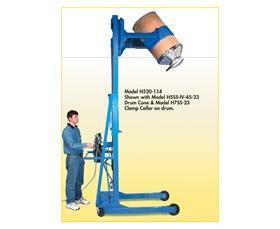 Use one handle to control the lift height and a second to control the drum tilt angle. Turn drum 360° in either direction. Faucet or drum cone in place still allows more than 180° rotation. Drum holder is designed to handle 22" to 23.5" dia. steel or fiber drums. Digital scale measures to 0.1 lb. with accuracy of /- 0.2%. Accepts Diameter Adaptors for smaller drums and holders for plastic drums are also available. Intrinsically safe, UL rated scale option available -- call for details. 800 lb. capacity. FOB Shipping Point. 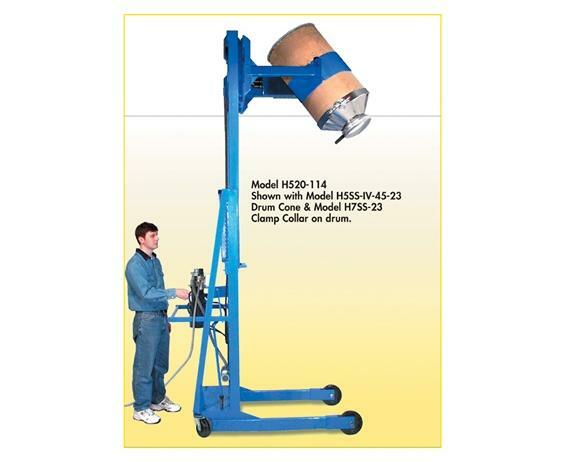 Photo of Model H520-114 with model H5SS-IV-45-23 Drum Cone and model H7SS-23 Clamp Collar on drum.